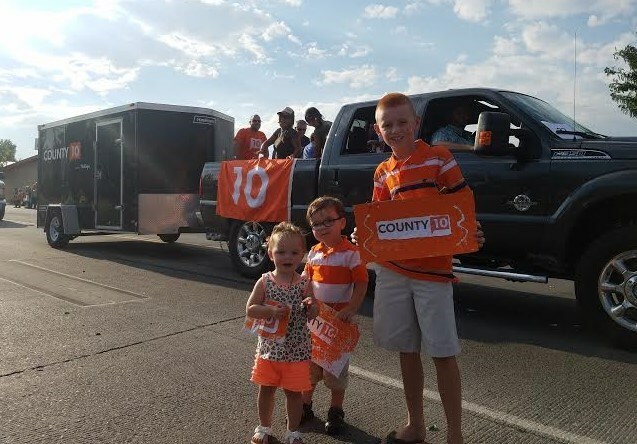 Thanks County 10...we're feeling the love! (Riverton, Wyo.) – The Twilight Fremont County Fair Parade drew a big crowd to downtown Riverton tonight. And we were feeling the love from a few special families. Congrats on winning your free "Fiesta Fun Pass" packets for this week at Fair. More photos to come.